The League of Extraordinary Writers: What DON'T You Think Will Happen? Previously, we've talked about how close we are to certain technologies that were once just a part of fiction. I, personally, think this is a great time to be alive--we're on the cusp of so much cool stuff! But...there are a few things that I think are just never going to happen. It might be possible that far into the future, people will fly around in their hover cars, look this post up in their holodecks, and laugh at my foolish disbelief, but here are the top three things that are common in literature but...just not gonna happen (in my humble, and often wrong, opinion). And any way you go about it, these things are all great for fiction! Star Trek wouldn't be Star Trek without the transporters. Just a quick command to the ship and you're beamed down to the alien planet--or back up to your ship. And while this tech is cool--and arguably, one of the best scenes in the latest Star Trek movie--I just don't think it will ever happen. Maybe, maybe, we'll get to the point where we can transport simple things, like a block of carbon or gas or something. But a human being? Nope. We're too complicated. It's just way too unlikely that we can develop the technology to not only separate people atom-by-atom, but also to put us back together. One intriguing estimate of what it would take to teleport a 150-pound human involves calculating the amount of processing power necessary, and that quickly gets into unimaginably high numbers, consisting of ones followed by dozens of zeros just to count the person's atoms. Each atom would need to be scanned and recorded. That said: DUDE. How cool would it be to actually have this?! My husband may divorce me for this...but I don't think zombie are gonna happen. Sorry. I just...don't. I don't think it likely that (a) the zombie plague can even exist in the first place (the reanimation of dead flesh aside, even if we could do that much, how likely is the flesh going to have a conscious or even primal instinct to feed on others?) and that (b) we as a society would let it get as bad as is often portrayed in books and movies. That said, I'm willing to suspend my disbelief in certain cases. In fact, if zomies ever do exist, I think the closest they'll get is a zombie-rabies hybrid as detailed by National Geographic. Though dead humans can't come back to life, certain viruses can induce such aggressive, zombie-like behavior, scientists say...Combine rabies with the ability of a flu virus to spread quickly through the air, and you might have the makings of a zombie apocalypse. The basic theory (and the one the hubs defends most often) is that there can be a combo disease of rabies and something else that spreads quickly and slowly decomposes the body while it's still living. One problem with much dystopia (even, arguably, my own), is that the worlds created are so bad that they become a little unbelievable. Take, for example, The Hunger Games. First: disclaimer. I love the Hunger Games. The whole trilogy, actually. Adore it. Sucked them all up the day they came out. These books are awesome. But...I think the basic premise--that children are sent out as tributes--wouldn't actually happen. Or, at least, it wouldn't happen for as long as it's assumed it's been happening in the books. I love that Katniss heads the rebellion, but in all honesty--I think the rebellion would have happened much sooner. I just find it hard to believe that people would allow their children to be slaughtered for so long. That said--please don't papercut me to death with Hunger Games! I love love love love the books, and this didn't detract from my reading. 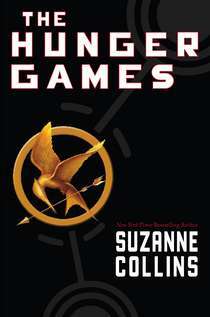 I am 100% willing to accept something that doesn't seem likely--be they transporters, zombies, are a harsh-world-situation--in order to get to the story, and in the case of Hunger Games in particular, the story was so good that any reservations about the premise are left on the way-side. Which, honestly, is true for most of these stories. While I don't think zombie are going to come staggering down my street, I get chills reading Carrie Ryan's stories (and am eagerly awaiting some new titles, such as Carrie Harris's) (speaking of, what is it with Carries and zombies?) (but I digress). And far be it from me to do away with one of the most iconic Star Trek technologies! But, for me at least, these are things that will always remain in the fictional world. What do you think works well on paper in stories, but won't ever actually happen in real life? Magic. It's hands down one of my favorite things to read about, but clearly it won't ever happen. Even if we develop our consciousness enough to be able to perform telekinesis, or telepathy, that's still not magic. Teleportation is totally possible. Physicists are already attaching information to light waves and sending them elsewhere. All we have to figure out is how to compress/decompress organic matter, develop a processor that's fast enough to transport it, and there you go. Of course, you'd probably have to be scanned into something sort of like an MRI machine first, just to get a map of where everything goes, so anyone who thinks the airport security scanners are a violation probably wouldn't want to get in line for teleportation. Personally, I'm still waiting on floo powder. I totally believe we could get to another planet and establish a colony but I don't think people realize just how truly special, unique, and complex the Earth is. In order to terraform Mars we wouldn't just have to change the atmosphere--we'd somehow have to create a moon like our own to stabilize the planet and we'd somehow have to create a magnetic field to protect our newly formed atmosphere and ourselves from the solar wind. Somehow I just don't see any of this happening. The only way we're going to be able to inhabit Earth-like planets is if we find them. I don't think we can recreate it. I sure hope you're right about zombies. They creep me out! 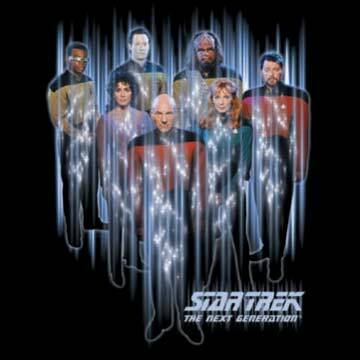 Something I really really really hope happens in my lifetime, and by that I mean I want it to happen right now: the food replicators in Star Trek. I'd love love LOVE one of those! I totally agree with all 3 of your choices--I've been of the "zombies could never really happen" opinion for years. And speaking of Star Trek, warp drive will never happen. Never. I'm no physicist, but I've seen them on TV, and warp drive just ain't gonna happen. Neither will alien invasions as portrayed in movies like Independence Day, War of the Worlds, Signs, or the soon to be released Battle: Los Angeles. If they are smart enough to get here in large numbers and smart enough to observe us/study us before attacking, then they will be smart enough to engineer a virus that will wipe us all out before they touch down, eliminating the the need for a messy ground invasion. Time travel. If it was going to happen in the future, we would already know about it now, regardless of what rules were placed on its use. People don't follow rules now, there is no reason to think they would in the future. I love that you included the extreme sociological situations! I was just debating this very thing a while ago with a friend who firmly believes that The Hunger Games is not only possible, but probable. So glad to hear that I am not alone! I thought of the same thing w/ Hunger Games; on one hand, I try to suspend disbelief and just go with it as this is fiction in an imagined world. And I love the book. But I did wonder how could the slaughtering of children KEEP them from revolting. Wouldn't it ingnite people TO revolt? Although, I suppose that since it happens to such a small fraction of the population, if you don't have a family member chosen, you can stay under the radar. Also, consider some of the horrific things that go on in countries of the present day under dictatorships. I am in frequent disbelief that North Korea exists in its current form in 2011. It's fascinating and horrifying. Somehow Hunger Games' universe doesn't seem so extreme. I'm with Stephsco. There are things happening that are just as horrifying as what happens in the Hunger Games. Warp drives - The problem with warp drives is that they tend to leave black holes and antimatter everywhere. This is a problem because, hello, it's a freakin' black hole. The whole world and everyone on it would be compressed to the size of a single atom. It would kind of defeat the purpose. Still, it would be really cool. Time travel - I dunno. If I created a time travel device, I so wouldn't be telling people about it. Talk about Pandora's box. Zombies -- Totally, without a doubt, could happen. The best explanation in media I've seen was on Firefly, when a calming neurotoxin had an adverse reaction that caused the Reavers' brains to collapse, but left their brain stems in tact. Cause that's all you need to walk around eating crap and growling every now and then. Throw in a little bioterrorism, a little stem cell research, and there you have it. Now, if you don't mind, I'm going to go dust off the bomb shelter under the house.